Muscle-Pumping 6 Ways to Gain Muscle Faster With 'Time Under Tension' Training - My Fitness Closet! Top Quality Apparel! 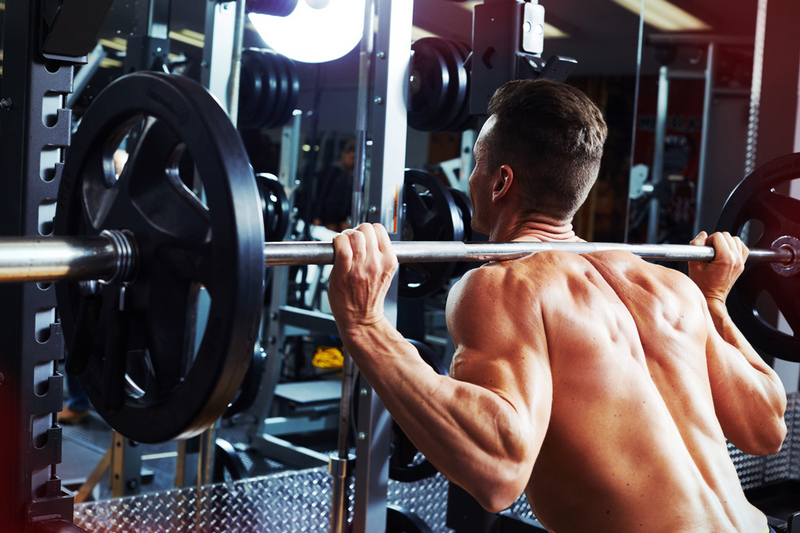 THE AVERAGE GYM-GOING guy looking to build some muscle and size probably does 3-4 sets of anywhere from 6-10 reps. That’s a pretty large range for a workout, even before you consider factors like how fast or how intensely you’re lifting. By focusing on timed sets rather than hitting a specific number of reps, you can directly influence the intensity of the set and spur huge gains in size and strength. What is ‘time under tension’ training? Time under tension (or TUT for short) is commonly used in strength and conditioning and bodybuilding. 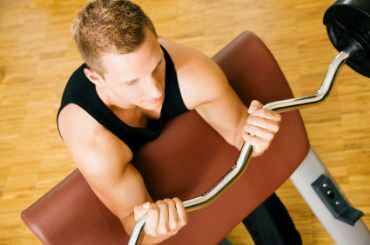 Essentially, it refers to how long a muscle is under strain during a set. A typical set of 10 reps for an average lifter will take anywhere from 15-25 seconds depending on lifting speed. By putting a muscle under longer bouts of strain, you can cause extensive muscle breakdown leading to sleeve-busting muscles. Time your sets so they last between 30 and 40 seconds for optimum muscle growth. This length of time ensures your muscles are receiving enough of a stimulus to spur changes in size. Total length of time is important, but how you get there is also crucial. Avoid spending long amounts of time during the easiest portion of an exercise (at the top of a bench press for instance). The easiest part of a lift presents the least amount of stress on your muscles. 2. Try to maintain a steady tempo. A typical tempo in seconds for each rep during a set would be 2/4/0 (lifting, lowering, pause). 3. Spend more time on the eccentric portion of the movement. That refers to the lowering portion when your muscle is slowly elongating. Slowing down the eccentric portion of the lift causes more muscle damage and hence encourages more growth. With the longer sets, fatigue will set in and compromise form. Make sure you don’t cheat yourself and miss out on gains by breaking form or doing partial reps.
5. Use drop sets to help you. Struggling to finish off those last few reps, drop down in weight and immediately continue the exercise. You’ll last the entire duration of the set and won’t need to cheat to get through it. 6. Maintain a high intensity. Simply lifting till the buzzer doesn’t guarantee increases in size. The weight and exercise need to be challenging enough to cause muscle fatigue towards the end of the set. Use at least 60% of your 1-rep max for a lift to maximize gains.